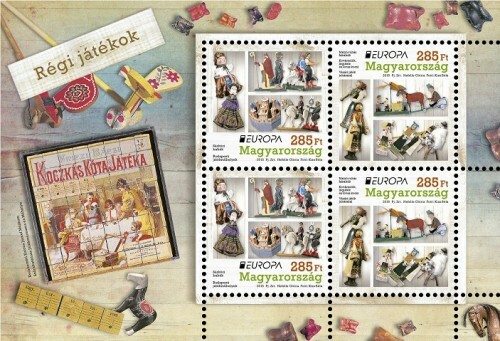 A Magyar Posta alkalmi bélyeg kibocsátásával köszönti Kálvin János születésének 500. évfordulóját. 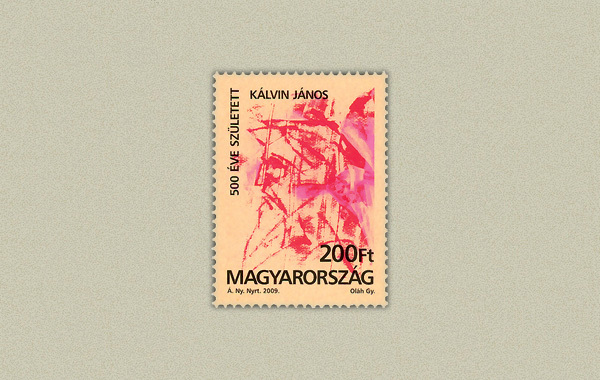 Kálvin János (eredeti nevén: Jean Caulvin vagy Cauvin), (Noyon, 1509. július 10. – Genf, 1564. május 27. ), francia származású svájci reformátor, humanista tudós, a kálvinizmus névadója, Bamber Gascoigne szerint „a legnagyobb elme és a legjobb szervező” a reformáció vezéralakjai között, aki megteremtette Genfben az „istenfélő város tökéletesen működő prototípusát”. Elsősorban teológiai és egyházszervezői munkássága miatt nevezetes, de fontos szerepet játszott a francia irodalmi nyelv kialakulásában is. A Magyarországi Református Egyház Zsinata 2006-ban hozott határozatával a 2009-2014 (születésének 500. és halálának 450. évfordulója) közötti időszakot Kálvin Emlékéveknek nyilvánította. A Kálvin János Emlékbizottság a „Kálvin János 500 éve” kiállítás létrehozásával a XXI. század magyar emberéhez szeretné közel hozni azt az értékvilágot, amelyet Kálvin János és az ő tanítása szerinti Krisztus követők 500 éven keresztül adtak a világnak. A bélyegképen Kálvin János portréja látható. A hozzátartozó alkalmi borítékon a megvilágosodó Kálvin János szimbolikus alakja tűnik elő. Az alkalmi bélyegzőn a Kálvin Emlékévek hivatalos emblémája szerepel. Megjelenési időpont: 2009. május 22. 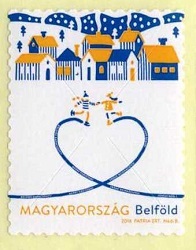 Magyar Posta is commemorating the 500th anniversary of the birth of John Calvin by issuing a special stamp. John Calvin, né Jean Caulvin or Cauvin (Noyon, 10 July 1509 – Geneva, 27 May 1564), the Swiss Reformer and humanist academic of French origin who gave his name to Calvinism, was, according to Bamber Gascoigne, the greatest mind and the best organiser among the leading figures of the Reformation who created in Geneva the perfectly functioning prototype of a God-fearing city. He is mainly remembered for his works on theology and Church organisation, but he also made a considerable contribution to the development of literary French. At the age of twenty-six he wrote his main work Institutio Religionis Christianae (Institutes of the Christian Religion), which he constantly expanded and revised throughout his life. In 2006 the Synod of the Hungarian Reformed Church decided and announced that the years 2009-2014 (the period between the 500th anniversary of his birth and the 450th anniversary of his death) would be Calvin Memorial Years. The John Calvin Memorial Committee through the exhibition “500 Years of John Calvin” wishes to bring the values John Calvin and the followers of Christ based on his teachings have given to the world over 500 years closer to the Hungarian people in the 21st century. The exhibition shows the influence that the life’s work of the Genevan Reformer of French origin had on European and Hungarian culture, and a multitude of artefacts that have survived the centuries. 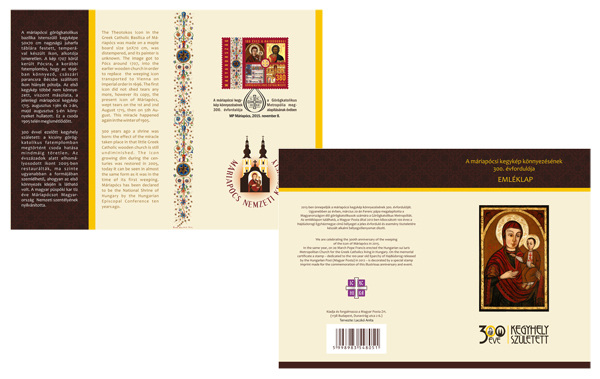 The stamp design is a portrait of John Calvin. The first day cover for it shows the symbolic figure of John Calvin becoming enlightened. The special postmark is the official emblem of the Calvin Memorial Years. 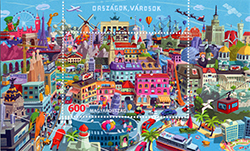 Die Magyar Posta begeht den 500. Jahrestag der Geburt von Johannes Calvin mit der Ausgabe einer Sonderbriefmarke. Johannes Calvin, eigentlich Jean Caulvin oder Cauvin (* 10. Juli 1509 in Noyon; † 27. Mai 1564 in Genf), war ein schweizerischer Reformator französischer Abstammung, Humanwissenschaftler und Begründer des Calvinismus, nach Bamber Gascoigne war er unter den führenden Gestalten der Reformation „der größte Geist und beste Organisator”, der in Genf das „tadellos funktionierende Urbild der frommen Stadt” schaffte. In erster Linie ist er wegen seiner theologischen und kirchenorganisatorischen Tätigkeit bekannt, aber er spielte auch bei der Entfaltung der französischen Literatursprache eine wichtige Rolle. Die Synode der Reformierten Kirche Ungarns erklärte mit ihrer in 2006 gefassten Entscheidung den Zeitraum zwischen 2009 und 2014 (500. Jahrestag seiner Geburt und 450. Jahrestag seines Todes) für Calvin Gedenkjahre. Die Gedenkkommission Johannes Calvin möchte mit der Gründung der Ausstellung „500 Jahre Johannes Calvin” dem ungarischen Menschen des 21. Jahrhunderts diejenigen Werte nahe bringen, die Johannes Calvin und die Nachfolger Christi gemäß seiner Lehre der Welt 500 Jahre lang gaben. Auf dem Briefmarkenbild ist Johannes Calvins Porträt zu sehen. Auf dem dazugehörigen Sonderumschlag ist Johannes Calvins symbolische Gestalt erkennbar. Auf dem Sonderstempel ist das offizielle Emblem der Calvin Gedenkjahre abgebildet.